Antipolo, officially as the City of Antipolo, is a city in the province of Rizal, Philippines located 26 kilometres (16 mi) east of Manila. It is the provincial capital of Rizal, the most-populous city in the CALABARZON region, and the seventh most-populous city in the Philippines with a population of 776,386 in 2015. 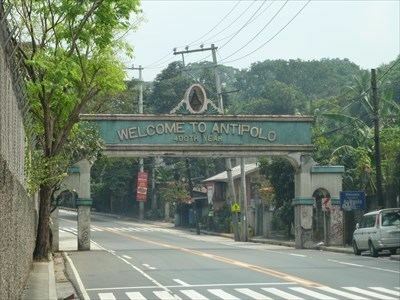 Antipolo was converted from a municipality into a component city of Rizal Province on April 4, 1998, under Republic Act No. 8508. A new provincial capitol building was inaugurated in the city in March 2009 to replace the old capitol in Pasig which has long been outside the jurisdiction of Rizal Province; after Pasig was included in Metro Manila in 1975. With the transfer of the provincial government to Antipolo, it is highly favored to be officially designated as the new capital of the province. On March 14, 2011, Antipolo was declared a "highly-urbanized city" by President Benigno Aquino; such proclamation however still needs to be ratified in a plebiscite. 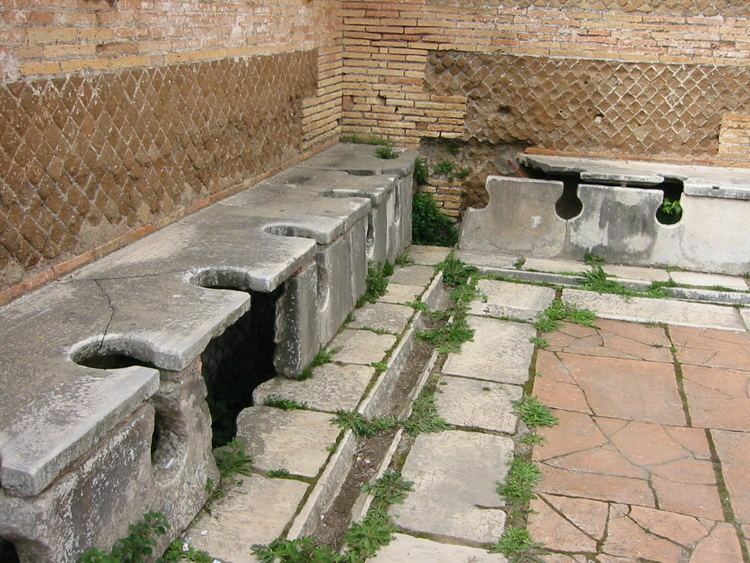 The city is popular for being a pilgrimage site. It prides itself as the "Pilgrimage Capital of the Philippines." The Marian image of the Our Lady of Peace and Good Voyage or the Virgin of Antipolo, which was brought in from Mexico in 1626, and enshrined in the Antipolo Cathedral has a continuous following among Filipino Catholics since the Spanish colonial era. A popular custom of pilgrims to the Virgin of Antipolo is the trek going to its shrine on the eves of Good Friday and May 1, from various locations in Rizal Province and Metro Manila. The most notable of these pilgrims would begin the trek from the Minor Basilica of the Black Nazarene (Quiapo Church), in Quiapo, Manila following the procession of the image. There is also an existing custom to have new cars blessed at the church in the belief that this will ensure the safety of the car and its passengers. Its higher elevation than that of Metro Manila affords it a scenic view of the metropolis, especially at night. Its locally grown mangoes and cashews are popular among tourists, as well as suman – a local delicacy made out of glutinous rice. The Hinulugang Taktak National Park, which was once a popular summer get-away is being restored to become again one of the city's primary attractions. Antipolo is in the northern half of Rizal Province, close to its meridional center. It is found on the slopes of the Sierra Madre Mountain Range. Much of the city sits on a plateau averaging 200 meters. It has the second largest area in the province with an area of 156.68 km². The northern and southern sections of the city are in the dense forest areas of the Sierra Madre. 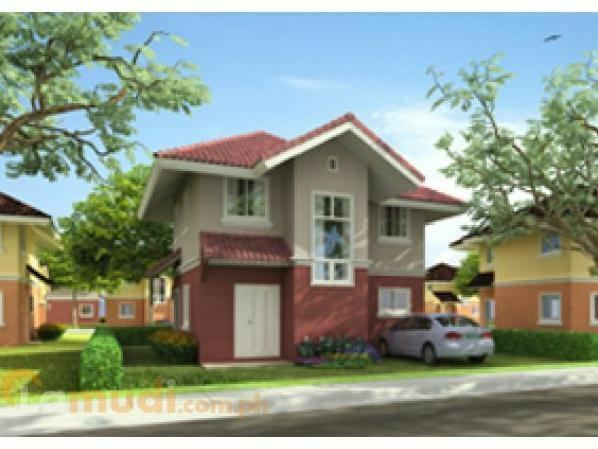 Antipolo is landlocked; bounded to the north by San Mateo and Rodriguez; to the east by Tanay; to the south by Angono, Taytay and Teresa; and to the west by Cainta and Marikina City in Metro Manila. The Bitukang Manok of Pasig, also known as the Parian Creek, had once linked the Marikina River with the Antipolo River. Before the Manggahan Floodway was built in 1986, The Parian Creek was actually connected to the Sapang Bato-Buli Creek (which serves as the boundary between Pasig's barangays Dela Paz-Manggahan-Rosario-Sta. Lucia and the Municipality of Cainta), the Kasibulan Creek (situated at Vista Verde, Brgy. San Isidro, Cainta), the Palanas Creek (leaving Antipolo through Brgy. Muntindilao), the Bulaw Creek (on Brgy. Mambungan, besides the Valley Golf and Country Club), and the "Hinulugang Taktak" Falls of Brgy. Dela Paz (fed by the Taktak Creek passing close to the Antipolo Town Square), thus being the detached and long-abandoned Antipolo River. Since the early 1600s up to the period of Japanese Imperialism, over a thousand Catholic devotees coming from "Maynilad" (Manila), "Hacienda Pineda" (Pasay), "San Juan del Monte", "Hacienda de Mandaloyon" (Mandaluyong), "Hacienda Mariquina" (Marikina), "Barrio Pateros", "Pueblo de Tagig" (Taguig), and "San Pedro de Macati" (Makati), followed the trail of the Parian Creek to the Pilgrimage Cathedral on the mountainous pueblo of Antipolo, Morong (the present-day Rizal Province). The Antipoleños and several locals from the far-reached barrios of "Poblacion de San Mateo", "Montalban" (Rodriguez), "Monte de Tanhai" (Tanay), "Santa Rosa-Oroquieta" (Teresa), and "Punta Ibayo" (Baras), had also navigated this freshwater creek once to go down to the vast "Kapatagan" (Rice plains) of lowland Pasig. Even the marian processions of the Our Lady of Peace and Good Voyage passed this route back and forth eleven times. The creek has been also used during the British Occupation of Manila in 1762 to 1764 by the Royal British army, under the leadership of General William Draper and Vice Admiral Sir Samuel Cornish, 1st Baronet, to transport their red troops (and also the Sepoys they've brought from East India) upstream to take over the nearby forest-surrounded villages of Cainta and Taytay. They even did an ambush at the "Plaza Central" in front of the Pasig Cathedral, and turned the Roman Catholic Parish into their military headquarters, with the church's fortress-like "Campanilla" (belfry) serving as a watchtower against Spanish defenders sailing from the walled city of Intramuros via the Pasig River. But ironically, the Sepoys backstabbed their abusive British lieutenants and sided with the combined forces of the Spanish Conquistadors (assigned by the Governor-General Simon de Anda y Salazar), local rice farmers, fisherfolk, and even Chinese traders. After the British Invasion, the Sepoys remained and intermarried with Filipina women, and that explains the Hindu features of some of today's citizens of Pasig, especially Cainta and Taytay. The city was named after the tipolo (breadfruit) tree (Artocarpus Blancoi), which was in abundance in the area. Franciscan missionaries arrived in Antipolo in 1578, and built a small church on what is now Boso-Boso Church. They were soon replaced in 1591 by the Jesuits, who organized the village into a parish. By 1601, The Christian population of Antipolo had grown to about 3,000 as the indigenous Dumagat population dwindled and moved deeper into the interiors. An uprising of Manila's Chinese residents reached Antipolo in 1602 that lead to the razing of the church. On March 25, 1626, the image now known as the Virgin of Antipolo was brought from Acapulco, New Spain (now Mexico) by Governor-General Juan Niño de Tabora, who relinquished the image to the Jesuits for Antipolo's church. In 1650, the village was organized into a town and became part of Tondo Province. When the province was divided in 1853, Antipolo became a part of the District of San Mateo de los Montes, which later became the District of Morong. The Recollects took over Antipolo in 1864. It was during these years that the Virgin of Antipolo gained a following of devotees. Devotees from Manila and nearby towns and provinces flock to Antipolo on foot or on hammocks, trekking along mountain trails and springs. During the First Republic, the town served as the capital of Morong, until it was occupied by the Americans on June 4, 1899; the Revolutionary Government then transferred Morong's capital to Tanay. Soon after, the Americans established a civil government in 1901, Valentin Sumulong became the first municipal president. On June 11, 1901, Antipolo was incorporated into the newly established Province of Rizal, which included towns of Morong District and Manila Province. In 1903, Antipolo, Boso-Boso and Teresa were merged. The town's territory was expanded again in 1913 to add the sitios of Mayamot and Bulao; just to lose Teresa six years later to become an independent municipality. The Manila Railroad Company (currently Philippine National Railways) inaugurated a railway service to Antipolo on December 24, 1908. Long before the LRT Line 2 finally opened its services in Santolan in the Pasig-Marikina border in 2004, steam train services had once served those places in the past, even before World War II. In Marikina, there is a street named "Daangbakal", also called by the names of "Shoe Avenue Extension", "Munding Avenue" and "Bagong Silang". There is also a similar "Daangbakal" in the San Mateo-Montalban (Rodriguez) area, and on the maps one can notice that the two roads should have been connected with each other. In fact, as the name suggests in Tagalog, these streets were once a single railway line. The two sides of the "Daangbakal" roads were once connected by a bridge in the San Mateo-Marikina border. However, as the railroad tracks have been largely ignored after the Japanese Occupation and was transformed into separate highways, the railway connection was abandoned. The old railroad tracks, called the Marikina Line, was connected from Tutuban station in Manila, passing through Tramo (Brgy. Rosario, Pasig) coming all the way to the town of Marikina up to Montalban. On the northern end of the "Daangbakal" road in Montalban is a basketball court. That basketball court which stands today, surrounded by the Montalban Catholic Church and Cemetery, was once the railway station terminus of that particular line. The present-day Santo Niño Elementary School in Marikina was said to be a train depot. And also it was said that a railroad station once stood in the Marikina City Sports Park. The Marikina Line was completed in 1906, and continued its operation until 1936. It was said that the Japanese Imperial Army made use of this railway line during the Second World War. These railways were dismantled during the 1960s and were converted into ordinary roads. Today, the citizens are dependent on Tricycles, Jeepneys, Taxis, FX, Buses, and AUV's which contribute to the everyday unusual and unbearable traffic of Metropolitan Manila. Even now, there is uncertainty in the Northrail project, which links Manila to the northern provinces of Luzon, because of corruption within the project's construction. Aside from the Marikina Line, two other lines have existed before but are now removed permanently. First is the Cavite Line, which passed through Paco, Parañaque, Bacoor and up to Naic, Cavite. Completed in 1908, its operation continued until 1936. Second is the Antipolo Line, which passed through Santa Mesa, Mandaluyong, Pasig, Cainta, Taytay, up to Antipolo near the "Hinulugang Taktak" Falls. There is also a street named "Daangbakal" in Antipolo, where like the "Daangbakal" roads on Marikina and San Mateo, a railway line once existed. The railroad tracks also passed through what is now the Ortigas Avenue Extension. Its operation ceased in 1917. During the start of the Second World War in the Philippines, Antipolo became a refugee destination for many citizens from Manila and its suburbs to avoid the Japanese invaders vying for the occupation of the Philippine capital. Also, two guerrilla units operated in the town against the Japanese. They were the Hunters ROTC under Miguel Ver and Terry Adevoso and the Marking Filipino and American Troops, which were established and led by Marcos Villa Agustin, more popularly known under the name Brig. Gen. Agustin Marking. Many inhabitants were tortured and killed by the Japanese, including Mayor Pascual Oliveros and his son Reynaldo, Padre Eusebio Carreon, Padre Ariston Ocampo, Sis. Ma. Elizabeth Cagulanas, RVM, Sis. Ma. Consuelo Recio, RVM; Ambrosio Masangkay, Alfonso Oliveros and Atty. Francisco C. Gedang Sr. The liberation of Antipolo from the Japanese forces was bloody and devastating to begin the battle. On February 17, 1945, Antipolo was heavily bombarded by American planes. Antipolo residents evacuated to Sitio Colaique and up to the towns of Angono, Santolan, and Marikina. To protect the image from being destroyed, Stevenson Sayson, then the sacristan mayor, and members of the community brought with them the Virgin of Antipolo. The bombings on March 6–7, 1945 destroyed the church and after twelve days of battle, the combined American and Filipino soldiers under the United States Army, Philippine Commonwealth Army and Philippine Constabulary and aided the local recognized guerrillas of the Hunters ROTC and Marking's Filipino-American Troops (MFAT) was liberated the town on March 12, 1945. The general headquarters of the Philippine Commonwealth Army and Philippine Constabulary was stationed in Antipolo from March 1945 to June 1946 was built today and operates during and after the war was fought the Japanese and they helping guerrillas and Allies. After the war, a temporary church was built and the Virgin of Antipolo was returned from the Quiapo Church on October 15, 1945. Devotees started to flock to the town and on May 6, 1947; the first procession of the Virgin of Antipolo was held starting at the hills of Pinagmisahan. 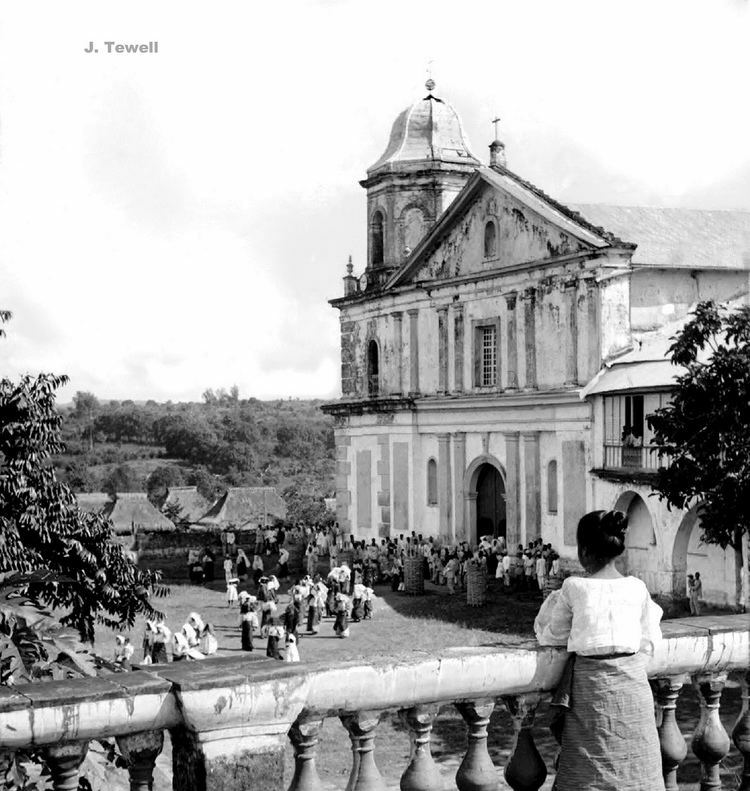 In 1948, a national committee was formed to undertake a nationwide fund-raising campaign to build the Cathedral of Antipolo. On June 15, 1952, Hinulugang Taktak was proclaimed a National Park by Pres. Ramon Magsasay, and on January 14, 1954, the Bishops of the Philippines proclaimed the Cathedral of Antipolo as the official national shrine of the Virgin of Antipolo. In 1960s, the town proper, or poblacion, was widened and the Sumulong Highway was constructed. In the 1970s, the Marikina-Infanta Road, better known as the Marcos Highway, was constructed, traversing the mountains of Antipolo. The Roman Catholic Diocese of Antipolo was created on June 25, 1983, with Rev. Protacio G. Gungon, D.D. as the first bishop of the diocese. Under the efforts of Antipolo's former congressman and mayor, Victor R. Sumulong, the vision for the cityhood of Antipolo was slowly taking shape. On February 13, 1998 (along with Parañaque, Former Pres. Fidel V. Ramos signed Republic Act No. 8508, thus making the Municipality of Antipolo into a component city of Rizal Province. This was ratified in a plebiscite on April 4, 1998. In the election that followed, Angelito Gatlabayan was elected as its first city mayor. After years of being in Metro Manila, a new provincial capitol for Rizal Province was opened here in 2009, together with new government buildings for the provincial authories. Antipolo's population in the 2015 census was enumerated at 776,386 inhabitants. It grew at an annual rate of 4.19 percent from the 2000 figure. Annual population growth rate has slowed relatively remains above the annual national average of 2.04 percent. The 2007 figure is three times the population of the city in 1990. Residents of the city are mainly Tagalogs. Very minor communities of the Indigenous Dumagat are found in Barangay Calawis and sitios Old Boso-Boso, San Ysidro, San Jose, and Kaysakat in Barangay San Jose. Similar to other cities in the Philippines, the government structure of Antipolo is prescribed in the Local Government Code of 1991, and further codified in its city charter. It is headed by a city mayor, who serves as its chief executive and exercises overall supervision of its administrative agencies. Its second highest official, the city vice mayor, primarily serves as presiding officer of the Sangguniang Panlungsod and assumes the position of city mayor in the event of its vacancy. As presiding officer of the Sangguniang Panlungsod, the vice mayor does not vote except in cases to break a tie. The city's Sangguniang Panlungsod or city council is composed of 16 elected members, two ex officio officers and an option to have at most three sectoral representatives. The 16 barangays Antipolo is divided into are grouped into two districts. Each of these districts elect at-large eight city councilors, while the two ex officio officers are the city's Liga ng mga Barangay president and Sangguniang Kabataan Federation president. Apart from legislating city ordinances, it also reviews the ordinances enacted by its barangays and makes recommendations for modification if they are found to be inconsistent with existing laws and city ordinances. On the other hand, ordinances and certain resolutions of the Sangguniang Panlungsod are transmitted to the Sangguniang Panlalawigan of Rizal for compliance review. Elective city officials serve a term of three years and may serve up to three consecutive terms. Antipolo is politically divided into 16 barangays. The area where the boundaries of Barangays Dela Paz, San Isidro, San Jose and San Roque meet is the city proper or locally referred to as bayan. Antipolo's barangays are grouped into two districts. Each district elects a representative each to the Sangguniang Panlalawigan and the House of Representatives. As of last local government income classification of the Department of Finance in 2005, Antipolo is classified as a "First Class City". In 2007, the city registered a total revenue of ₱993.1 million, an increase of 5.6 percent from the previous fiscal year, in 2010 this amount has grown to ₱1.56 billion. 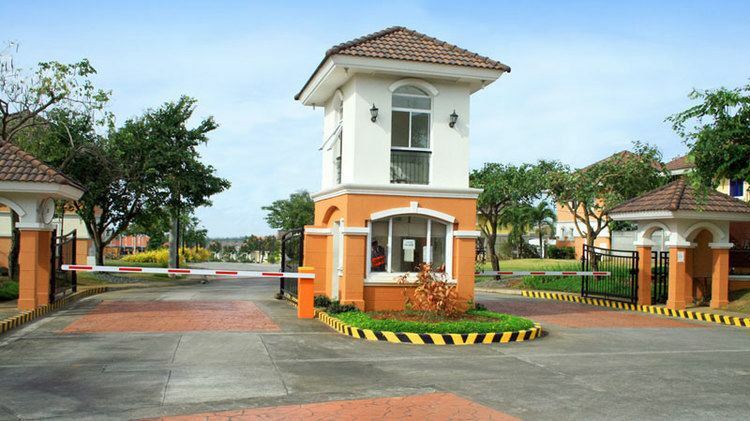 Its proximity to Metro Manila has continuously spurred the growth of the real estate industry and by 2007, revenue from real property taxes has ballooned by 32.1 percent from 2006 to ₱146.2 million as there are also about 456 residential subdivisions in the city. The Department of Education maintains a school division in Antipolo, which supervises the 65 public schools (45 elementary schools, 20 high schools) in addition to 193 accredited private schools. There are two universities operating satellite campuses in the city, the state-run University of Rizal System, and Our Lady of Fatima University. These are Antipolo's sister cities and twin towns with strong relationships and partnerships. Recuerdos de Antípolo (Memories of Antípolo), oil on canvas by Felix Martinez, 1883. In the Collection of the Central Bank of the Philippines. 54.5 x 82.5 cm. Iglesia de Antípolo (Church of Antípolo), Felipe Roxas, 1889. Antipolo, by Toribio Herrera, circa 1920. Forest of Antipolo, by Jorge Pineda. Antipolo Pilgrimage, by Fernando Amorsolo, 1959. Pinto Art Museum Antipolo Rizal, 2015.